Do you have a messy marriage? Join the club. I realized yesterday that one problem I have with marriage is this: embracing my union with Christ. That changes everything. Our culture tells us that being pursued is great, but once you’re married, the fun is over. 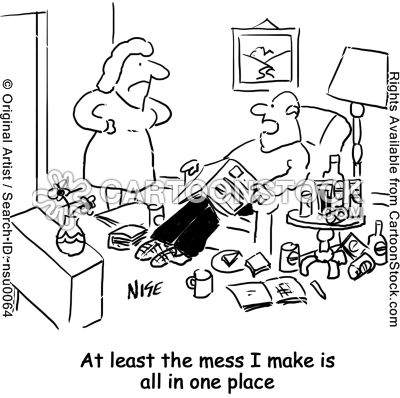 Marriage is all work and messes. Hollywood reinforces this idea. My heart leaps when Meg Ryan’s email dings. You’ve Got Mail! Someone mysterious is pursuing her. Her heart begins to pound. She responds tentatively at first, but gradually begins to open herself to this stranger/friend. Her hopes rise, then fall. Confusion enters, tension builds. Then comes the moment in Central Park. Tom Hanks appears over the hill, his dog running ahead like some kind of peace offering. It’s him! At last! She falls into his arms as the credits roll. Why do all those romantic comedies end here? Because the fun part is being pursued by a mysterious, persistent lover. After that it’s laundry and dishes, budgets and babies. Then God spoke to me. Why do you make your marriage the picture of mine? You’ve never seen marriage like it’s really meant to be. You’re my betrothed now. But on that day when the Bride comes down and the marriage supper of the Lamb is celebrated, then you’ll see it. The glory of marriage. Let’s face it. This is all a profound mystery. We’re swimming in the deep end of the pool…make that ocean. Look at Genesis 2:23. It’s the first poem in the Bible. That’s because only poetry can do justice to mystery. Let’s take a moment to see Adam and Eve’s romance in the light of Jesus, the True Adam. Adam was made from the earth. Jesus was created from ovum and Spirit. This second Adam was different from the first. God and man had been united forever in this first act of the new creation. “It is not good for the man to be alone.” The Father speaks over the Son. “I will make a helper fit for him.” As Jesus walked the earth in his incarnation, he shared so much of our life experience, but he never married. Why? Because there was no suitable partner anywhere on the earth. “So the LORD God caused a deep sleep to fall upon the man.” The Father caused the Son to sleep the sleep of death. Yes, the same death that atoned for our sins, that the Son bore willingly, that death was the sleep from which his bride was born. From his wounded side she–we–emerged. “At last!” The shout of recognition rings through history and into my ears. “It’s her!” He claims me as his own, his very flesh and blood. I fall into his arms. But that’s the best part…it doesn’t! As Elyse says in Found In Him, p. 155, “Marriage with him is more than a metaphor; it is the reality that all the other metaphors describe.” It’s true. And it will be true forever. The Bride will come down like a gorgeous cosmopolitan city with no slums or trash-filled gutters. We will see our Savior’s beauty and he will see ours. This is the true “marriage made in heaven.” It won’t be boring or messy or filled with endless, repetitive chores. It will be the romantic comedy (and adventure) that never ends! Let’s face it. All this seems a little unreal. How do I get my mind around it, let alone my heart? After my wedding day, it took a long time for me to get used to the idea that I was a married woman. The ring on my finger would catch my eye, distracting me with its newness. When the hotel clerk asked, “Mrs. Lauterbach?” I looked behind me to see who he was talking to. The word “wife” sounded strange to me, like the label didn’t yet fit. But over time I have settled into my new identity. I love being Mark’s wife. I own the new name and all that goes with it. Be patient sisters. Look at your wedding ring often, the Holy Spirit who was given as a seal of the promise. Call yourself by your new name, His Beloved. Remember how he has pursued you, personally, passionately. You’ll come to embrace this new identity more and more. And as you do, you will fall into his arms.